These are an extremely compact style of binocular which folds down to a mere 7x10cm when not in use. 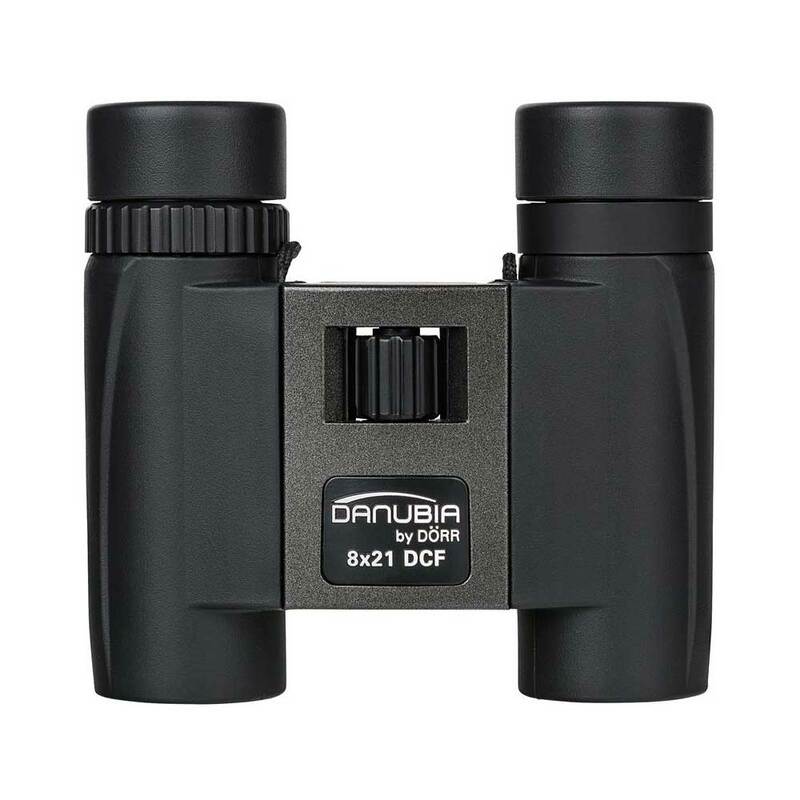 More substantial than a basic comapct binocular the Danubia 40 8x21 Pocket Binoculars have multicoated optics which have been designed to give as much detail and colour rendition as the light will allow. They are very comfortable to use with a rough rubberised thumb area on the armour coating to help fix them to the eyes. They will easily fit into a shirt or coat pocket and are really easy to carry out and about all day. The eyepieces twist up for using without glasses and then down for use with glasses, so they can be used for a continuos length of time and because they are so light, the arms don't get tired. They come with a nylon carrying bag, which has a belt loop for fitting onto trousers of a bag and a lanyard that is integral to the body of the glasses.